You are invited to “Adjusting the Lens,” a screening of experimental videos projected onto the wall of FSU’s Museum of Fine Arts. This event will take place on Friday, March 29, 2019 at 8:30pm (or after sunset) and will feature works by George Jenne, Julietta Cheung, Peter Whittenberger, Justin Lincoln, Monica Cook, Toby Kaufmann-Buhler, Alma Leiva, Kelly Sears, and Jason Bernagozzi. 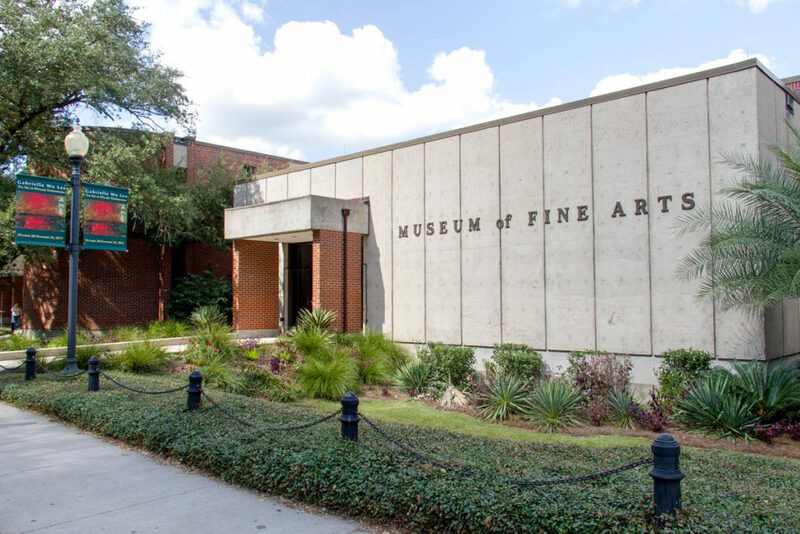 MoFA is located in the Fine Arts Building, at 530 W. Call St, Tallahassee, FL 32306.